Jan Dankowski cares about his clients and provides technology expertise that makes their lives easier. With more than twenty five years of Information Technology consulting experience, Jan believes in strong business partnerships, collaboration, and offering appropriate guidance. As partner in charge of the System Integration Division, Jan and his team nurture relationships by designing and implementing network systems, providing information technology and network security reviews, and presenting strategic technology plans that include risk assessments and future scenario planning. Clients appreciate Jan’s ability to guide them through the latest technologies, and the ability to make their business environment more efficient and profitable. 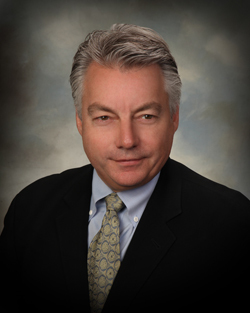 In 1991, Jan joined Hutchinson and Bloodgood LLP as a founding member of the Firm’s consulting group. He is a certified network engineer and was elected Partner in 2006.